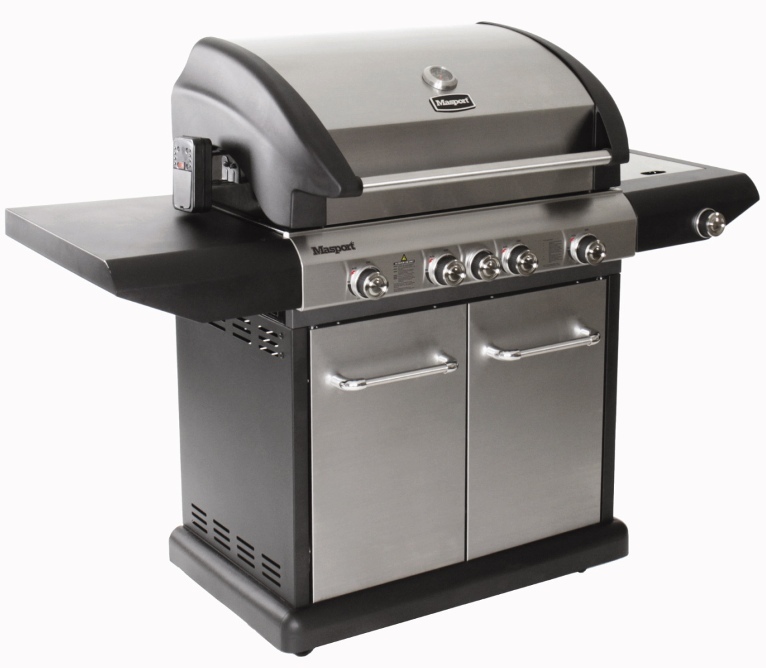 4 Burner model has a 304 grade stainless steel Roasting Hood with a Space Saving design, matched with the stainless steel Cabinet Doors and Stainless Steel Control Fascia, creating an elegant yet robust look. Together with the well designed contours and Matt Black Suede Powder Coated Trolley, makes this BBQ have a great presence in the flesh. Will look stylish yet functional in your backyard. Double lined convection style hood with less vents adds to the infusion of flavour and maintains consistent cooking temperatures. Side burner included provides versatility to the package. Commercial 304 Grade Stainless Steel Fascia. Commercial 304 Grade Stainless Steel Doors. Porcelain Enamel Rust Free Chassis with Masports 5 Year Body Warranty. Four Stainless Steel Tube Burners. Lockable Castors for easy movement. Inbuilt Timer in s/s fascia. 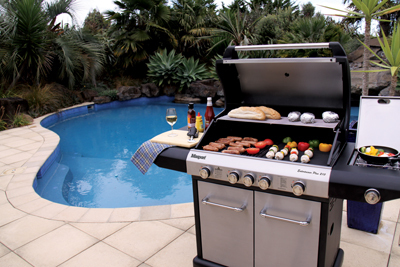 Great Design makes this BBQ something special to look at in the flesh. Rust Free Enamel coated cast iron Cooktops in 50/50 Grill to Plate split. Warming Rack with Adjustable levels.